3. Drag and drop or select an XLS, XLSX, CSV file. 4. Type the name of an existing or new contact list to add the imported contacts to it. 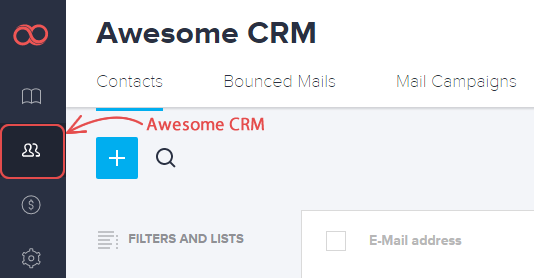 Tip: In case you already have any of the newly imported contacts on the Awesome CRM, check the box to update the contact info for you. 5. Click the import button to start. 6. After successfully uploading the file, match the columns in your uploaded list to Joomag list. You can skip the columns you don't need or create new fields for your columns if there isn't one matching your criteria. 7. Once you're done with all your changes click the START IMPORT button which you'll find below. 8. Once the file is imported, you'll see the results, including how many records were imported, how many records were duplicated and how many records were invalid. You may even download the list of invalid records. That's it! Now you may send emails and subscriptions to your newly imported subscribers.